At PFD Pet Care we are fully committed to the top notch care of your furry best friends! 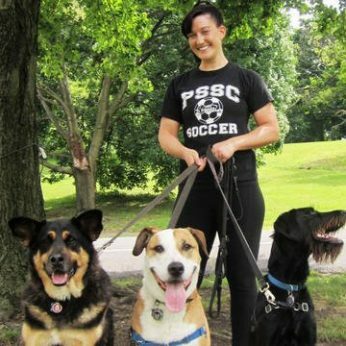 Since 2012 PFD Pet Care has been a reputable Philadelphia Dog Walking, Dog Running, and Pet Sitting company. 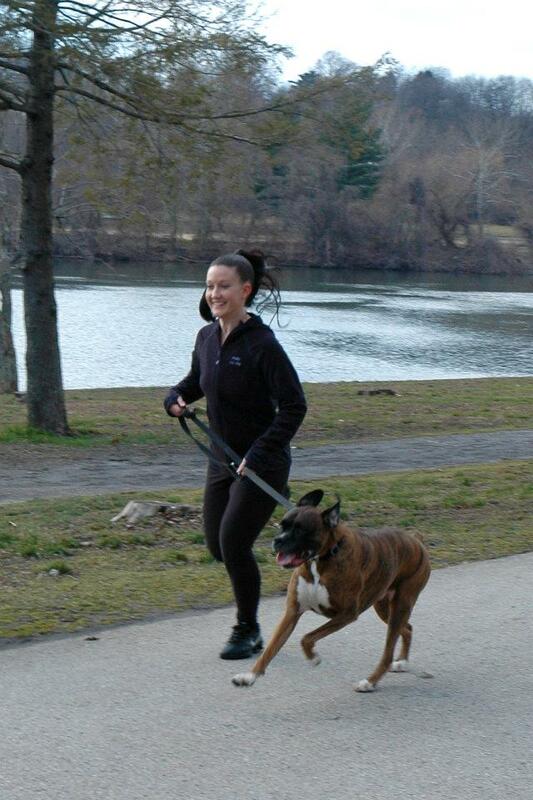 We provide energy releasing runs for active dogs and relaxing walks for less upbeat dogs. We will provide your dog with all of the physical activity needed and customize our visits to their needs and exercise level. Additionally, if you ever want pet sitting while you are away, we offer in-home overnight dog sitting and cat sitting. Whether you want your furry friend to get some exercise on a run, enjoy the fresh air and a potty break on a walk, receive some fun playtime or need care for your pets while away, we are here to assist with your pet service needs. PFD Pet Care is committed to improving your pet’s overall quality of life. 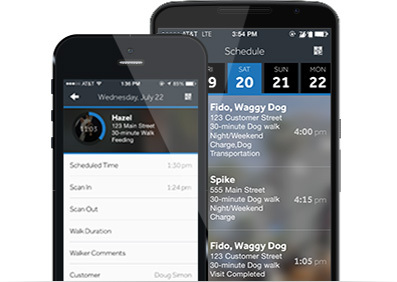 Now that you know the exact time your dog walker or pet sitter has arrived, you want to make sure your pet got the exercise you and your dog walker agreed to. No more nightmare stories that pets weren’t taken out of the house or were only taken out to the corner and back. Our maps show time elapsed points of where your pet was walked. With Pet Check, you’ll never again wonder what time your dog walker or pet sitter arrived and departed. Caregivers use their mobile device and the barcode placed in your residence to scan in and to scan out, giving you the exact time of care. No more waiting until you get home to read the handwritten checklist and wondering if it was accurate. Upon arrival and departure of every appointment, pet owners receive an email alert with important details of the visit. Use this helpful information to plan your day. Now that you know your pet is safe, let’s have some fun with photos! Your dog walker or pet sitter can take photos during the visit for you to see just how happy and safe your pet is with your caregiver. Pet owners can request appointments from the dog walking and pet sitting companies through the Pet Check scheduling tool. Confirmation will be returned via email, assuring that your pet will be taken care of when you need it most. Your dog walking and pet sitting companies can set you up for a billing method that works best for you. 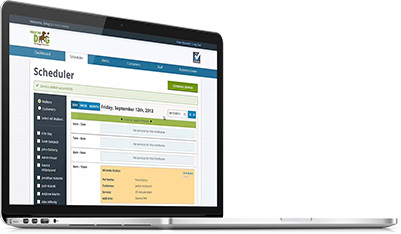 You will have full transparency and can log in anytime to see and even pay your bills with a credit card. Pet Check can even automate your bills, giving you one less thing to worry about and more time to focus on your pet. Pet owners can easily manage their account, including their schedule, feeding information, veterinarian information, invoicing, and more. Pet owners can leave notes for their walkers or sitters to keep them informed of important updates. Away at work? Anticipate a busy day? Your daily schedule erratic and unpredictable? Philly Fit Dog gives your canine companion some much needed exercise during the day and some needed stress relief from yours. Dogs require physical and mental stimulation just like humans do. If proper exercise is provided on a daily basis, it will energize their body, mind and spirit. Many dog behavioral problems are the result of isolation, boredom and insufficient exercise. At PFD Pet Care we strive to provide our clients with high quality solutions for your every day pet sitting solutions. Finally, a pet care service that is reliable and worry free, providing you the peace of mind knowing your pet or animal is taken care of while you are away. We’ve only been using Philly Fit Dog for about 3 weeks for daily weekday walks for our 16 year old dog. After having multiple on-going issues with our previous dog walker, we decided to try Philly Fit after reading so many positive reviews and learning of their state of the art technology. I wish we switched a long time ago! They are RELIABLE, very competitively priced and we love the email updates that give us peace of mind during our work day that our boy is being cared for as promised. The online scheduling is super convenient and online payment is great too! They are true professionals, insured and bonded and most importantly honest, reliable and take good care of specific, special needs of each customer. We’ve been using Philly Fit Dog for a weekly walk or run for our dog for several months. We have also used them for in-home pet care while we were out of town. Our dog has major (like, major) issues with dog reactivity, so I’m always a bit nervous when anyone else cares for her in the city where dog encounters are nearly inevitable. Philly Fit Dog has been totally able to manage her issues and provide her with great care and exercise. The service is extremely flexible and Whitney is always very responsive to emails. Our pup loves her walkers/runners and we feel very comfortable with the care and attention she receives. I love that I can actually GPS track her walks, too.